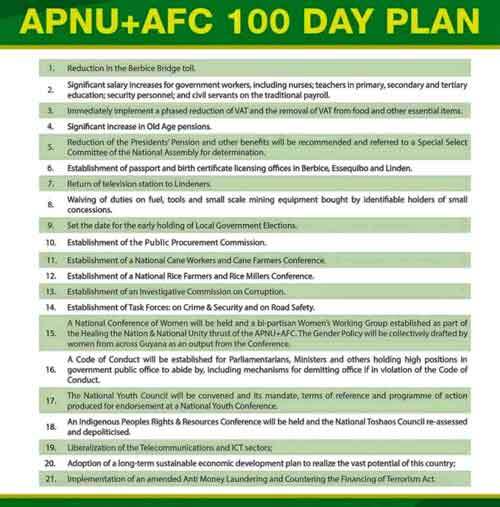 The APU+AFC Party had promised the nation that within 100 days of being in office, it would have accomplished several things, one of which is the establishment of an Investigative Commission on Corruption. But after being in office for more than three years, the Commission is far from being in place. This point was recently raised by Ram and McRae Chartered Accountants in their comprehensive review of budget 2019. The accounting firm said in its report that when it comes to the issue of corruption, the coalition administration has delivered much less than it has promised. It said that the government’s failure to establish the Investigative Commission on Corruption is an outstanding example of this. The accounting firm said, too, that the signs that the Government was not as intent on dealing with corruption as it had promised were there in the wasteful and unaccounted billion dollar expenditure on the construction of a Stadium at Homestretch Avenue. It said that Minister of Public Infrastructure, David Patterson, who was later assigned responsibility for the Project, has not only not been any more successful at providing answers to troubling questions, but has himself, been the subject of attention and investigation in respect of the feasibility study for the new Demerara Harbour Bridge crossing by the Special Organised Crime Unit (SOCU). 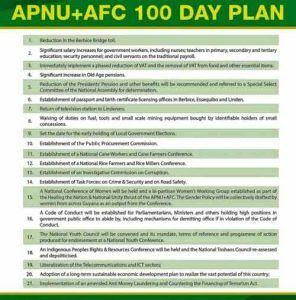 As it relates to the award of security contracts, Ram and McRae opined that abuse still abounds but nothing matches the Saffon Street drug bond deal for daring and lawlessness. The accounting firm also expressed concern about the apparent rise in issues of corruption in the regions such as Region Six where there were nine cases where the Bid price was exactly the same as the Contractor’s estimate even though the estimates are not available to any bidder. And in Region Eight, the Audit Office found that one officer had set up a front company to make supplies to the Region’s School Feeding Programme while in Region Two, the accounting rules were twisted to make capital expenditure out of the current allocation. Ram and McRae also reminded of a news item that was carried by this publication a few weeks ago, highlighting the issue of a contractor who was paid a significant sum of money on a contract that had hardly begun. That contractor was also the beneficiary of a similar arrangement in another Region. Considering the aforementioned, the accounting firm said that the fight against poverty and for development goes hand in hand with the fight against corruption since corruption favours individuals with money and connections and those who in one way or the other support the winning Party. It stressed that corruption distorts the allocation of economic benefits, deter foreign investment, lower economic growth, bring about a loss of tax revenue, lower the quality of public infrastructure and also affect the composition of government expenditure. Ram and McRae said that the Government has a long way to go if it intends to deliver on the commitment to stamp out corruption.